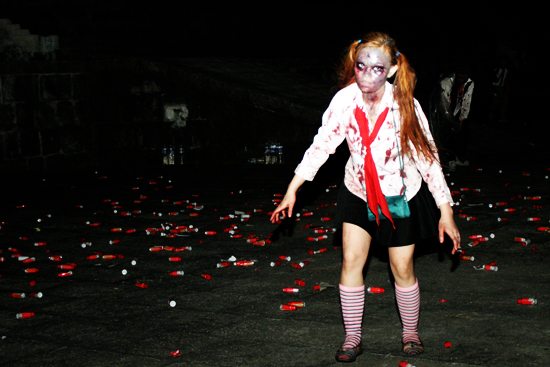 (SPOT.ph) The premise of the mission is to find a cure, but the infection seems irreversible. Surviving Outbreak Manila is fun, but the offshoot, Outbreak Missions, proves that the zombie virus has spread throughout the city. 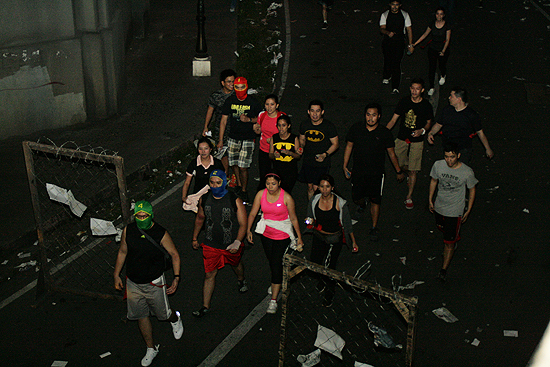 Loyal fans of the zombie-infested fun run were invited to join Missions in 2013, a role-playing adventure that added an interactive element to Outbreak, complete with a loose storyline and characters like Dr. Alfonso Adarna and dubious entities from The Brotherhood. 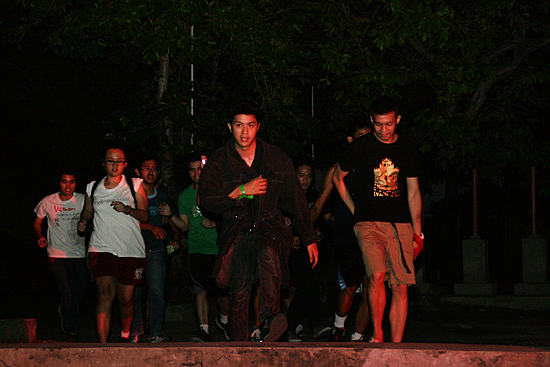 Picking up from the established events in Filinvest and Festival Mall, Operation Stronghold in Intramuros saw the continuation of the plot and the expansion of the cult. Why spend the weekend on the couch watching The Walking Dead, when you can experience the...er, "fun" for yourself? 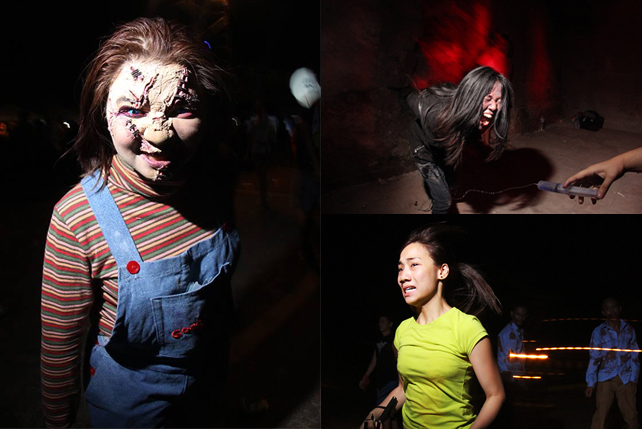 The brains that have been consumed by the zombie craze working behind Outbreak are dead-set on giving people a genuine fright, and here are the 10 best reactions we heard throughout the night. 1. "Zombies aren't supposed to run!" Clearly, some participants haven't seen 28 Days Later and are still living in the George A. Romero period of the undead. 2. "They're not playing fair!" 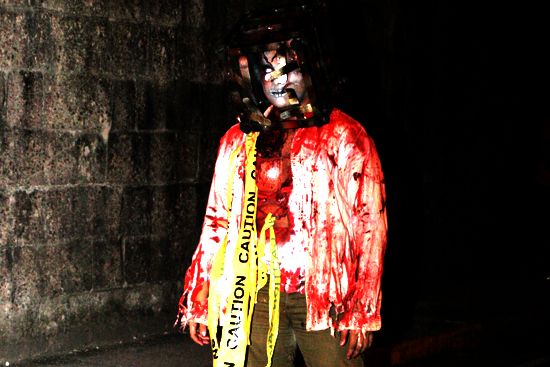 A few kids, scared by the prosthetics, jumped and screamed as zombies growled or leaped from behind stones and bushes. 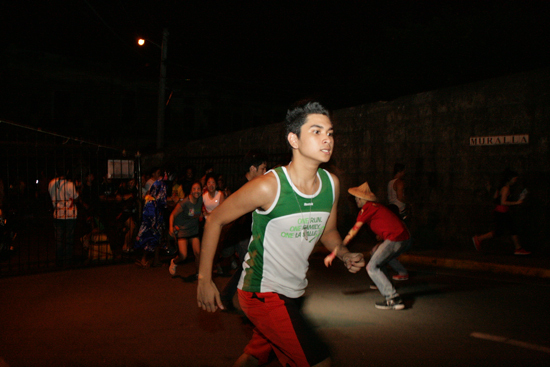 The organizers had sparse but elaborate props around Intramuros, which characters (alive and reanimated) played with to freak out the participants. 3. "We have to wait for them, they're our team mates!" While some were losing their cool out of frustration (dealing with zombies while hiking in the dark will stress you out), it was fun to see people getting into the myth of Outbreak. Yes, someone said this out loud, trying to look for a character in the mission. Quite a funny way to deal with the pressure of making it out of the course "alive." Throughout the course, the players are given the option to barter life for safety, encouraged to find help, and discouraged from listening to other characters. The people in The Brotherhood are supposedly sketchy...but they have brilliant diction, making them quite convincing. 6. "What a waste of money!" Injuries happen within the game. Real injuries. Medics are scattered everywhere, and people who trip or fall are immediately attended to (always check for broken bones!). For some people, this adds thrill to the Missions. But we can't blame the others for feeling a bit angry when blood is involved. They are not kidding about the "physically demanding" clause of the contract! 8. "I can't save you if you're not on the red light!" We really admire the dedication of the "actors" in the course. 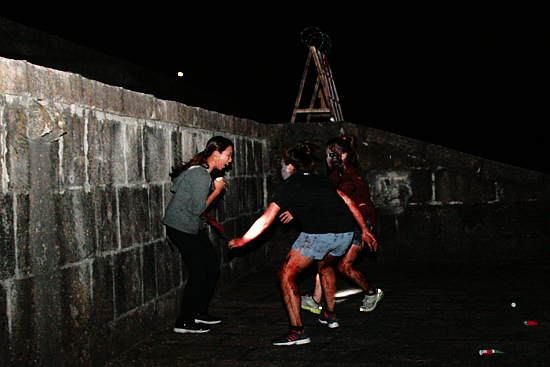 Aside from the zombies, the characters handing out clues and suggestions to the participants rarely break character. They work hard to make you feel the suspense and the danger. 9. "I'm dead! Stop chasing me, I'm dead!" 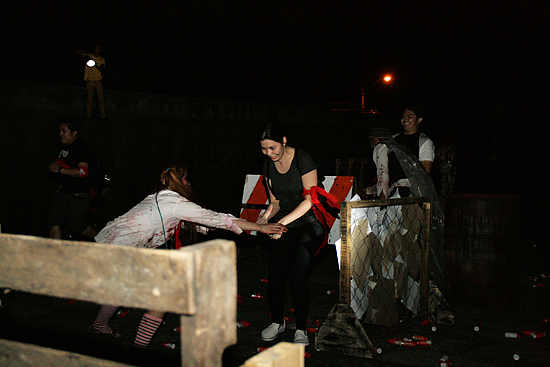 Some players "died" early on, but to keep the thrill alive, the zombies still clawed at them while growling and snarling. You get what you pay for. 10. "I'm a f*cking veteran!" We saw people proudly showing their injuries and participants from the previous mission telling their friends not to worry because they're "experts." 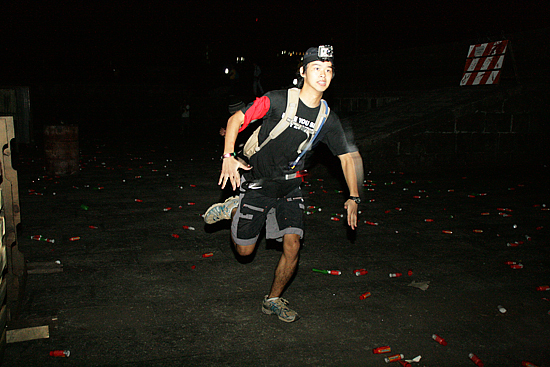 We get the feeling they're already preparing for the next mission, but only after they survive the Outbreak Manila run. Looks like the zombies are winning.